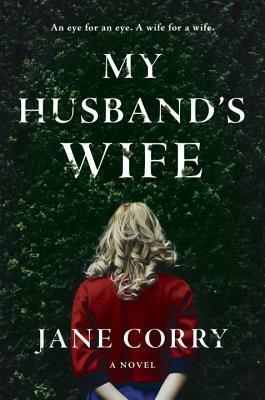 Today I'm featuring my current read, My Husband's Wife by Jane Corry. The excerpts shared are from a hardcover edition borrowed from the library. "This is the five o'clock news,"
The radio, chirping merrily from the pine dresser, laden with photographs (holidays, graduation, wedding): a pretty blue and pink plate; a quarter bottle of Jack Daniel's, partially hidden by a birthday card. My head is killing me. My right wrist as well. The pain in my chest is scary. So, too, is the blood. Page 56: "There was a silence. Ed didn't notice, his head glancing from them to the paper and back to them again." My thoughts: I'm still trying to process all the information and wonderful books I received last week at Library Journal's Day of Dialog and Book Expo. While I arrange my reading queues of forthcoming and recently published titles, I am working on clearing the stacks of library books currently in my possession. My Husband's Wife leapt from the stacks because I couldn't resist the title and the blogosphere buzz. I am only a few chapters in, but am already fascinated with the characters--solicitor Lily and her aspiring artist husband Ed Macdonald, and their neighbors, 9 year-old Carla Cavoletti and her single mother. 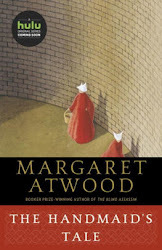 The prologue is set in the present day, but the story begins fifteen years earlier, in the year 2000. With alternating chapters told in Lily and Carla's voices, I can sense that all is not as it appears, with shocking truths and events to be revealed. From Goodreads: It won't be so bad when you're there, says my new husband before kissing me on the mouth. He tastes of Rice Krispies and that strong toothpaste of his which I still haven't gotten used to. I know, I say before he peels off to the bus stop on the other side of the road. Two lies. Small white ones. Designed to make the other feel better. But that's how some lies start. Small. Well meaning. Until they get too big to handle.